Warrington. What is it? Is it a township? A neighborhood? Just a “place?” According to the U.S. Government Warrington is a census-designated place. (Look it what that is on Wikipedia). Essentially Warrington has several neighborhoods all bound up in a geographic are of concentrated people. Whatever. But what IS Warrington? It’s certainly been there a while. A huge majority of the residents work in some capacity around the military bases in the area. It’s got shops, restaurants and lots of houses. between downtown Pensacola and the Alabama state line and lies 6 miles between both. The 2010 census claims it has 14,531 people. The Naval Air Station is located within Warrington although it has its own zip code. Lewis Warrington, the area’s namesake. Photo courtesy of Wikipedia. 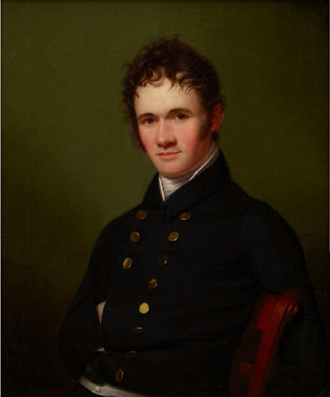 In 1826, Warrington served as one of three commissioners on a panel charged with selecting a site on which to establish a new South Atlantic fleet. The panel selected Pensacola, Florida – site of the first permanent European settlement in North America in the year 1559 – and Warrington was ordered to Pensacola where he was charged with overseeing the construction of a new navy yard. Warrington established a village adjacent to the new navy yard and gave it his name. Warrington Village remained occupied until the 1930s when the property was transitioned for use in naval aviation and the residents were relocated. Many residents moved just outside the navy base, and established a New Warrington. Today, the diverse community is known simply as Warrington. In 1829, Lewis Warrington was promoted and returned to Norfolk for a decade as commandant of the Norfolk Navy Yard. In 1840, he was reassigned to Washington for another two years as commissioner on the Navy Board. After the 1842 reorganization of the Navy Department, Warrington became Chief of the Bureau of Yards and Docks. 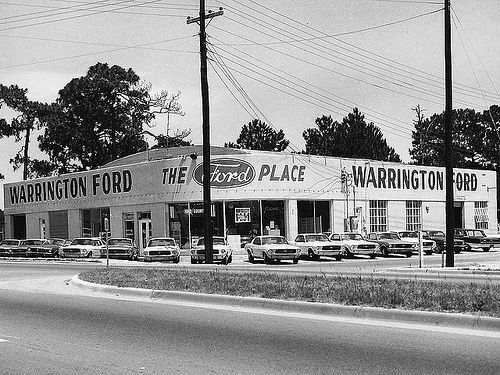 Old Ford Dealership. Photo courtesy of Frank Hardy Photo. 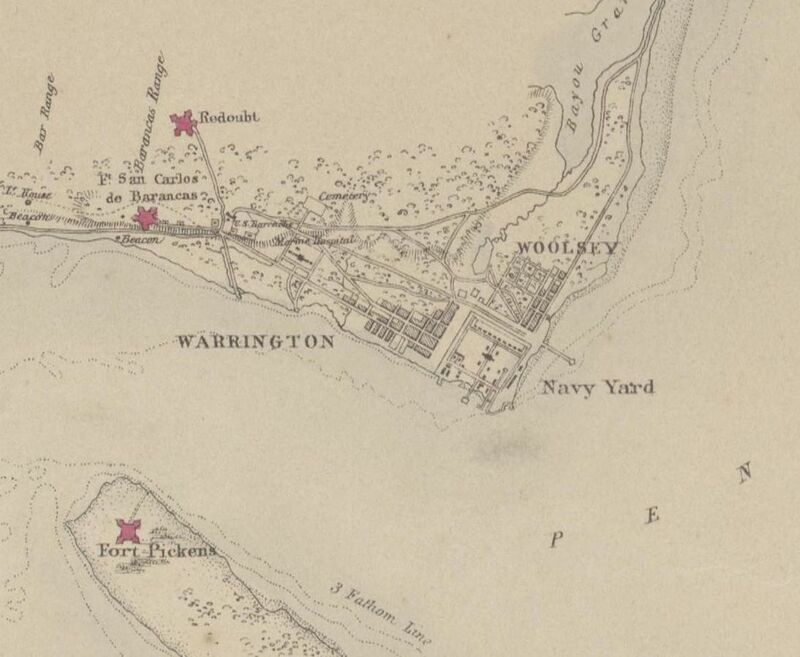 The original Warrington was located between the Yard and Fort Barrancas. The town was relocated to the north of Bayou Grande in the 1930’s to make room for an ever expanding Naval Air Station. For a short time in the 20th century Warrington was actually a town. In 1975 it lost that status due to changes in incorporation laws and is now under the jurisdiction of the Escambia County Commission. 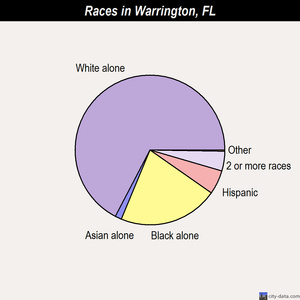 According to Citydata.com Warrington is 50.8% male and 49.2% female. The average age is 43.6. The avarage household income is $35,757, up nearly $5,000 from the 2000 census. According to neighborhoodscout.com Warrington has the highest concentration of divorcees than 99.6% of neighborhoods in the U.S. There. Now that’s something you know. In our next installment on Warrington we will be looking into the real estate market and will determine if it is an up-and-coming area (we think it is). The Hansen Team is ready to list or show houses in this unique and historic area, or anywhere else for that matter. Contact us today and get started in a new living adventure.